WHY IS ET SO ‘BIG’ TODAY? Anyway, both books are available at Amazon in paperback or in eBook format. Likewise, they are available at iBooks and Nook. If you have a copy but haven’t opened up to read, I hope you might dust it off and give it a read. I think you will really enjoy it. You won’t quite think of the issue of ET and Ancient Aliens quite the same way again after you do. Suddenly, I do not feel so all alone. 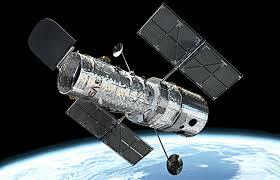 As a young boy, I have always been fascinated by the stars. By our solar system and it’s planets, our galaxy. The other un-named galaxies and the ever expanding universe. As a young man, I gravitated towards the science fiction of the day: Buck Rodgers, Battle-star Galactica, Space 1999, Star Trek, Star Wars all capturing my imagination and interest. I followed NASA, as much as any novice might feel inclined, cheering on the moon shots; applauding the space shuttle missions; celebrating the International Space Station. Hubble Telescope’s snap shots of the cosmos would always thrill and I would pay attention to news reports of any satellite being launched on a vast array of missions. And, like most of my contemporaries, I would imagine what other secret mischief our government might be doing “up there”. 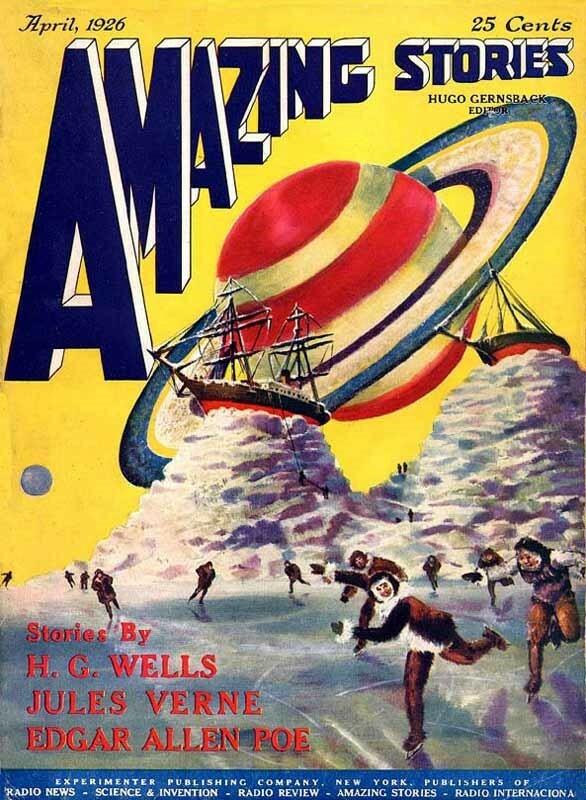 But as I got older, my interest would wax cold to nothing more than a willingness to believe that “anything goes” when it comes to what may or may not be out there. Eventually, life happens and that became my focus of attention, and other than my continuing appreciation for movies like Star Trek or Star Wars, my fascination all but vanished for the lure of the “unknown”. But that all changed on the day that I became a Christian. the “grand scheme of things”. For the fact that I no longer choose to watch TV and excuse myself from the “preconditioning” that it inserts to the public psyche, I have a certain sensitivity not enjoyed by those being still plugged into “the world’s system”. But also, for the fact that I separate myself (as much as is reasonable) from the public media machine, I miss out on some brilliant and astute minds still in the public fray. So, I am late in joining the conversation that men like Chuck Missler, L.A. Marzulli, Douglas Woodward and others, still bring to the table. 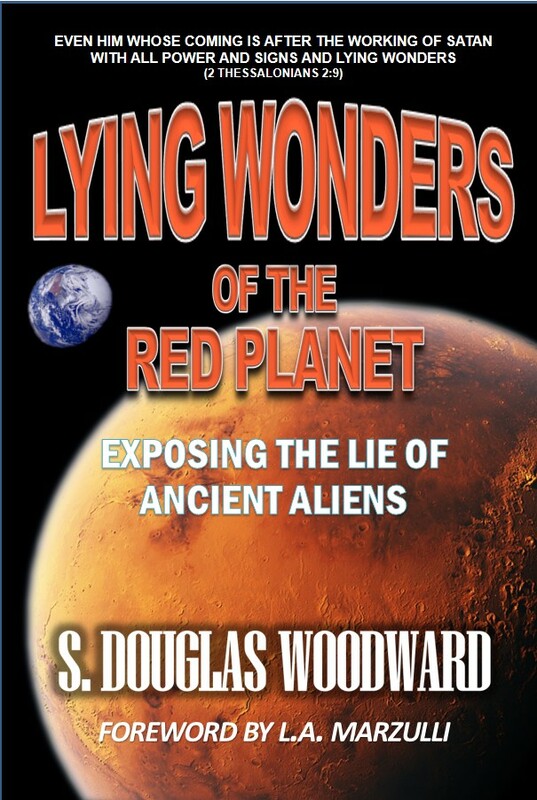 In his book: “Lying Wonders of the Red Planet: Exposing the lie of Ancient Aliens”, Douglas Woodward has not only brought me up to speed on some of what I have missed but, laid bare the foundation upon which a fabrication is built. In “investigative reporter” style, this book is chocked full of facts and figures and is a treasure trove of verifiable information but, still reads like a novel of suspense and intrigue with me (the reader) being the hero in the story. “Red Planet” is a quick moving read and one could easily read it through in two or three hours. However, if you are like me, you may find yourself repeating one paragraph or page again and again to fully drink in what is being said and, to ponder upon the ramification thereof. *What is the mystery of lawlessness? *Who is the lawless one? *What is the strong delusion? These are questions we all would do well to ask. “Lying Wonders of the Red Planet” is an exhaustive study into today’s pop-culture phenomenon; the TV show “Ancient Aliens”. Douglas Woodward seamlessly separates fact from fiction and uncovers the conspiracy which hopes to mislead the millions who give ear to the theories being presented as facts. I cannot recommend this book highly enough to everyone who, like me, feel like there is more to the story than what we are being told. For people like me, who believe the universe holds wonder; who hope for something more; who need to understand. 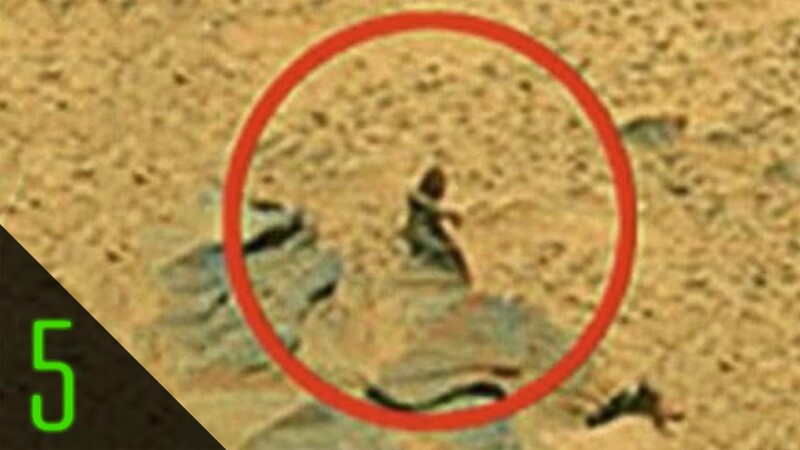 “Lying Wonders of the Red Planet” is Biblical, pitting sound doctrine against the esoteric in a way which lets the reader decide to which we would adhere. Occultist overtone permeates most all main stream media and, Mr. Woodward provides us a divining rod with this tome so that we may see, more clearly, that the lie has been perpetrated since the beginning.